Q. Can you help me with MP3 file conversion? SOS contributor Martin Walker replies: I doubt that you'll hear any difference in practice by increasing the bit depth from 16 to 24. As long as you leave a few dB of headroom to give your MP3 encoder some 'space' to perform a clean result, the main decision to be made with MP3s is the target bit-rate. MP3 files can be created at CBR (Constant Bit Rate) values from 8Kbps to 320Kbps. Spoken word is still perfectly intelligible down to about 24Kbps, which is usually perfectly sufficient for podcasts, talk radio, and so on. Solo acoustic music performances could be acceptable at 48Kbps, although 64Kbps is probably more in line with AM radio quality. For reasonable-quality ensemble music, many people consider 128Kbps a good baseline, especially if the intended destination is computer speakers or in-car audio systems. 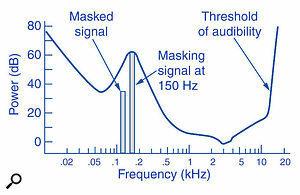 However, when listening on a hi-fi or on studio playback gear, many musicians find 128Kbps difficult to listen to, especially since the frequency response falls off rapidly above 16kHz, high‑frequency sounds such as cymbals sound distinctly harsh, and you can often hear a low-level background 'warbling' sound, which is the main reason that some people dislike this rate. If you're looking for the best compromise for your MP3 files between compression ratio and audio quality, bit-rates of 160Kbps or 192Kbps are generally recommended, with 192Kbps, in particular — often being classed as 'near CD' quality — suitable for complex music or tracks with lots of bass content. Only on expensive playback systems can most people tell the difference between 192Kbps and CD quality. Further up the scale, if you want some compression but minimal degradation in sound, 256Kbps is a good compromise compared with CD audio, since the frequency response is generally identical to the original up to about 18kHz, and the difference between the two is barely discernible by most people, even on high-end systems. For ultimate MP3 quality, you could choose 320Kbps, but so few people can hear the difference between this and 256Kbps (or real CDs, for that matter) that it's generally a waste of disk space. Of course, the main point of all these conversions is to reduce file size, and most MP3 encoders also offer a choice of VBR (Variable Bit Rate), in which the bit rate is altered dynamically during your track. Because VBR can rise during complex passages and drop during simpler sections, with some material it can sound significantly better when compared to a similarly sized CBR file, and instead of numeric values you may be offered a quality setting anywhere from 'highest' to 'lowest'. However, VBR is rarely used for online audio streaming because its constantly changing data stream encourages glitches and errors, as it does on some older MP3 players, particularly when fast forward or rewind controls are used. The above guidelines are fine for the average punter, but as musicians, what should we really be listening for when deciding on bit-rate? 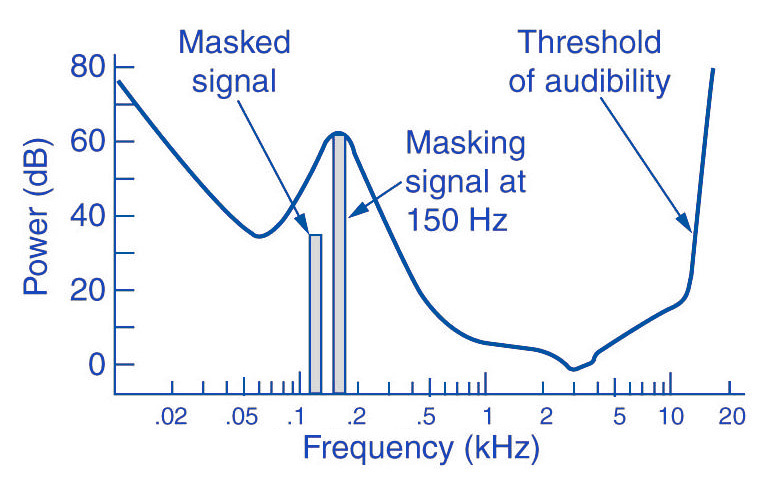 Well, because of the way MP3 encoding relies on one frequency 'masking' another nearby at a lower level, any instrument that glides from one frequency to another (such as fretless or acoustic bass, guitar whammy-bar excursions, Theremin or trombone solos) may result in audible artifacts, so listen out for these and use a higher setting if required. MP3 encoding reduces file size partly by Frequency Masking (discarding information that is unlikely to be heard because of nearby louder tones), but it can be fooled by some types of music, such as gliding or pure tones. Another killer combination for the MP3 encoder is a pure solo tone, such as a long, high vocal or flute note, or guitar feedback tone, with complex but quiet instrumentation behind it. Listen out for distortion or general fuzziness where the encoder has decided that parts of the background instrumentation are redundant: they might be with a rock band and screaming guitar solo, but not with a quartet featuring a flute solo. Ultimately, though, all these choices pale into insignificance if your MP3 files are intended for online streaming. Many sites, such as Soundcloud, YouTube, and so on, convert incoming audio to their own chosen format so, unless you're offering downloadable MP3 files, you're often stuck with whatever quality choices these other delivery sites choose for you (typically around 128Kbps).